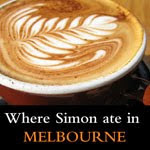 So today we're going ask 10 probing questions that dwell a bit deeper into the mind and stomach of Simon Food Favourites, a Sydney-based Food Blog, to learn a bit more about the passion behind it all. S: What inspired you to start food blogging? 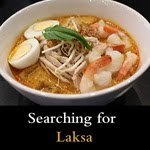 SFF: I've always loved food, except when I was very young and fussy and hated vegetables, and wanted to somehow record all my favourite dishes I'd come across and be able to share the experience and details with friends and other food lovers. 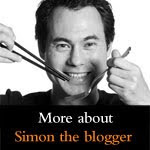 A blog seemed to be a great way to keep a record of my findings which I started back in October 2008 during Good Food Month and have since posted 413 blog updates which so far has 121 Simon Favourites I recommend everyone should try. S: So how come you're not the size of a house? S: Why don't you place ads on your food blog? 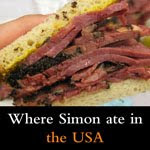 S: What's next on your food wish list for 2010? 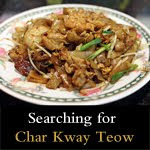 SFF: Well, 2009 was a great year for some of my Favourite Food Highlights and this year I'm hoping to visit Chat Thai Haymarket which seems to be one of the most liked and blogged Thai restaurants in Sydney. 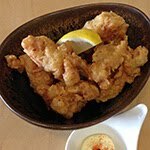 I've also got my stomach set on Tan Viet in Cabramatta for their famed crispy chicken, Universal in Darlinghurst for fine cuisine and if money and luck permits I'd love to revisit Tetsuya's Restaurant for his world famous degustation. There are plenty of others you can see on my Food Wish List which seems to grow every week. S: Where do you first read about food? 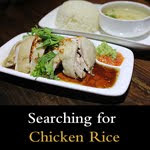 SFF: I used to read the SMH Good Living religiously as this provided a weekly dose of food inspiration of where to eat in Sydney but now I mainly read other food blogs which provide lots of daily reviews and food photos — I'm a visual person. 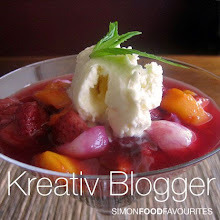 I currently follow 123 blogs of which most are food related. S: Have you met many other food bloggers? SFF: I certainly have. Apart from meeting up at many special invitation events like 'I Ate My Way through Singapore & Vietnam' book launch, Bistro CBD Tasting Night and Merivale Winter Feasts Launch Party I had the opportunity to meet many more last December at the Sydney Food Bloggers Christmas Party organised by Grab Your Fork and Chocolatesuze. 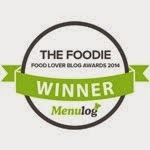 S: What's the food blogging community like? 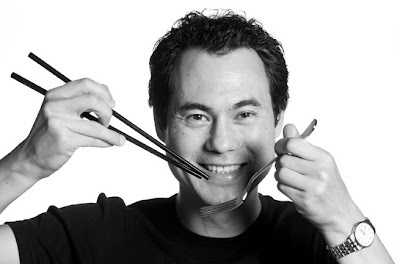 SFF: The ones that I've met are a very passionate bunch of friendly young people who seem to be mostly of Asian heritage including myself — I guess Asians love their food and aren't afraid to show it. They love sharing their passion for food and many have made new friends and regularly organise and catch up for meals and private events. You might notice these bloggers posting their blogs about the same thing. S: How much time do you spend on food blogging? SFF: Too much time some people might say — my family especially. It first started off with maybe a couple of hours a week but now has become a passion, and dare I say it, an obsession. I can see how it can become a full-time job which I believe Not Quite Nigella has courageously ventured her time into. I guess that's when the advertising on a blog becomes an attractive addition for all the hard work and time one could spend on their blog as their source of some income. S: Do you enjoy cooking at home? SFF: I do enjoying cooking and learning new cooking techniques but I much prefer eating out so someone else does all the cooking and cleaning for me — I'm such a princess. I especially liked watching the MasterClasses on Masterchef which were very practical and easy to follow which I try and keep in mind when cooking. I also try and think about the presentation of a meal and what might make it look more appetizing. As long as I can remember I've actually never baked a cake but I hope to this year. I like setting cooking challenges for myself to help me learn new things. S: Finally, if you were on death row, what would your last meal be? SFF: WOW, that's a bit morbid isn't it but I actually ask this question to myself sometimes — and no I'm not planning a terrible crime, on purpose. Firstly a good Bombay Sapphire Gin & Tonic with fresh lime would be in order followed by a glass, no, make that a bottle of Bollinger. My favourite cuisines are Vietnamese and Seafood so the menu would definitely include Vietnamese Spring Rolls wrapped in crispy iceberg lettuce because I LOVE spring rolls for some strange obsessive reason. Also freshly shucked oysters, both Sydney Rock and Coffin Bay, would be on the menu. I simply have to have my oyster fix at every Family Christmas Lunch. Some brilliantly pan-fried Scallops would be good as well, perhaps cooked by Gordon Ramsay who seems to know what he's doing with these when I watch his Kitchen Nightmare shows. And for dessert a perfect Fruit Tart with extra sweet raspberries and a good vanilla bean ice cream on the side followed by a wicked hot chocolate with marshmallow to make me feel warm and fuzzy. After all this I should actually pass away quickly to food heaven from my own self inflicted overdose of cholesterol with a big smile on my face. 123 blogs???? I repeat 123? When do you have time to eat? Great interview by the way! It was great to get a peek into the man behind the blog! Thanks for sharing... looking forward to more reviews. 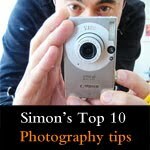 How do you remember how many Simon's Favourites there are? That's impressive. Definitely get to Universal this year, it's pretty great. Enjoy all the food that 2010 has to offer! Good to hear more about you! Were you Q&Aing yourself? :) Hope 2010 is a good one for you! hi trissa, plenty more reviews to come. hi joey, yep, i thought the best person to ask the right questions would be myself hehe i'll save the more probing questions for my next interview ;-) i've tagged my Simon Favourites so they are now listed on the side of my blog — too easy! fingers crossed I enjoy Universal in Feb. have booked myself in. hi 3 hungry tummies, thanks for checking out the interview. happy eating! hi bean sprout's cafe, i'm thinking my first cake might be the Banana Walnut Bread from The Food Addicts http://thefoodaddicts.com/banana-walnut-bread-from-starbucks or perhaps some cupcakes. haven't decided yet. hi lorraine, i thought i'd spend more time with myself and get to know myself better with some questions to myself hehe :-) a bit of analysis on what i'm up to with blogging. I enjoyed reading your blog as well. It is very inspiring. Yes, I believe we Asians do love our food that much.